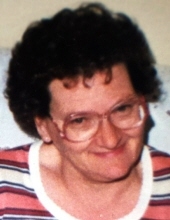 Elizabeth D. Barrows, age 80, of West Haven, passed away on November 5, 2018. Loved by everyone for having such a pure heart, she leaves behind her 4 children; Robert Mason & his wife Rose, Tinna Marchetti & her husband Frank, Ruth Karabinas & her husband Pavlos, and William Barrows, 3 siblings; Mary Northrup & her husband Edmund, Earl Thatcher & his wife Nancy, and William Thatcher & his wife Lynn; 7 grandchildren, and 7 great-grandchildren, along with several nieces, nephews and cousins. To send flowers or a remembrance gift to the family of Elizabeth D. Barrows, please visit our Tribute Store. "Email Address" would like to share the life celebration of Elizabeth D. Barrows. Click on the "link" to go to share a favorite memory or leave a condolence message for the family.